GPResult is a command-line utility for determining the resultant set of policy for a given user and/or computer. In other words, it shows you what Group Policy Objects have been applied and their settings. This is typically one of the first tools I go to when troubleshooting Group Policy from a client once basic connectivity has been confirmed (e.g. Network/DNS). The tool itself is very simple to use and I will run through some common examples below. This is pretty useful when you simply want to see what GPOs have applied and in what order. It will also display summary data, such as last time group policy was applied, which Domain Controller it was applied from, the site, security groups and if the slow link threshold has been activated. If you are unsure if a GPO has been applied, this is a quick way of checking. Here we see that 4 GPOs have applied to the Computer settings portion. If you don’t want to view both Computer and Users settings in the output you can request one or the other with the /scope flag. The output reads fairly well from within the command prompt, but if you need to export the output you could use either of the following. I can’t see the Computer Settings? If UAC is enabled, running GPResult without elevating the command prompt will only show you the user settings. If you want to see both user and computer settings, elevate the command prompt by either tapping the winkey+cmd then ctrl+shift+enter or right click on the command prompt and select run as administrator. If you elevate with an admin account different to the currently logged in user (common if the user does not have administrator rights), then you will receive an error message stating INFO: The user “domain\user” does not have RSOP data. This is because GPResult is using the elevated user’s context. To work around this, specify the standard user that you are troubleshooting. To get a more graphical view of what’s going on, you can generate a HTML report. This gives a detailed break down of each setting and the GPO from which it came. This view is particularly nice as you can show all and use ctrl+f to find a particular policy or setting. This allows you to run GPResult on a remote system, all of the above applies. You may see this for a few reasons. The first that the policy is empty in which case you’ll see Filtering: Not Applied (Empty), this is fairly self explanatory. The second is Filtering: Denied (Security), which typically boils down to the “Apply Group Policy” permission on the GPO. You may also see Filtering: Denied (Unknown Reason) which is similar to (Security) in that the “Read” permissions has been denied. To review the last two examples, launch the GPMC (Group Policy Management Console). 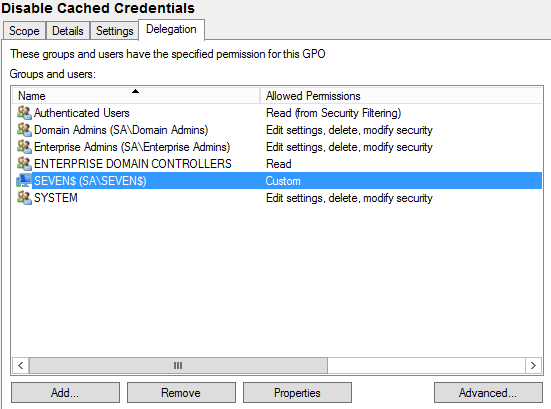 Find the offending GPO, and select Delegation- from there you may see an additional group or a single user or machine that has been added. Click on advanced and review the permissions against the object. In this case you can see that the Seven computer object has been denied Apply Group Policy resulting in the Filtering: Denied (Security) message. If in doubt, select Advanced -> Effective Access and enter the required computer or user object. If you scroll down to around halfway you’ll see the Apply Group Policy permission with either a green tick of a red cross against it. If deny read has been granted every permission will have a red cross next to it. I hope this gives you the basics behind GPResult and some good real world example to aid in your Group Policy troubleshooting. Find the default gateway on a list of remote servers. Create a textfile with a list of servers you would like to query, use a new line for each server. If you have an OU of servers you would like to query you could use the following to create a text file with all computer accounts within an OU (requires Active Directory Module for Windows PowerShell). Get-ADComputer -LDAPFilter "(name=*)" -SearchBase "OU=Servers,DC=domain,DC=local" | Select -expand name | Out-File -Encoding utf8 "\\server\share\Servers.txt"
This would create a textfile with every computer account in the “Servers” OU on domain.local. I tend to put a “dummy” line at the top of the text file as PSEXEC has issues with the first entry. 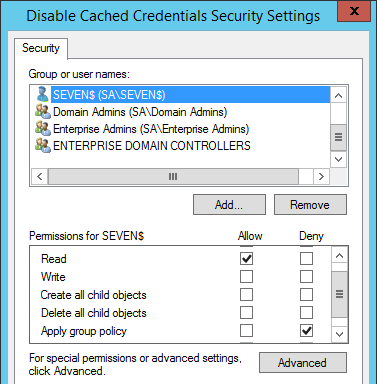 Now use PSEXEC to execute the following, don’t forget to run the command prompt as administrator (using an account with the required permissions on the remote servers). …and here’s the final result. When PXE booting and deploying a task sequence you receive the error “Failed to resolve selected task sequence dependencies” and no dependency or package IDs are displayed. 1. Press F8 when in the WinPE environment to open the command prompt – Click here if you have not enabled the command support console. 2. You can view the SMSTS.log file on the live system, or move it to another machine to interrogate. To open the SMSTS.log which is responsible for deployment and task sequence log events type notepad X:\Windows\Temp\SMSTS\SMSTS.log (the task sequence dependency check happens prior to any formatting of the HDD, hence the location of the log file). At this stage you can also plug in a USB drive and copy/save the log onto it. 3. Open the log file with the Configuration Manager Trace Log Tool aka CMTrace.exe, this will make it a lot easier to view and find the offending errors. If you do not have CMTrace, you can grab it from the SCCM media under SMSSETUP\TOOLS. It’s a single executable so can be copied and moved around as necessary. The part we’re interested in is the second part of the ScopeId, in this case: Application_64ff713e-87d1-40dc-8d24-16961ccff5bb. 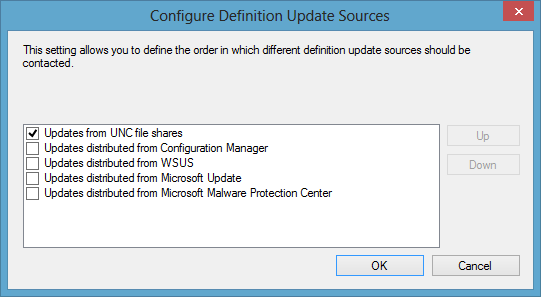 To find out which application this refers to open the System Center 2012 configuration manager console. Browse to Software Library, Operating Systems, Task Sequences and select the required task sequence. At the bottom choose “References”, this will show you all applications assigned to the task sequence and their Object IDs. Match this up with the error found from the SMSTS.log. Make sure the application has been distribution to the required distribution point(s). Try removing it from the distribution point(s) and re-distributing. If the above fails, simply remove the application from the task sequence and re-add it (this was my issue!). 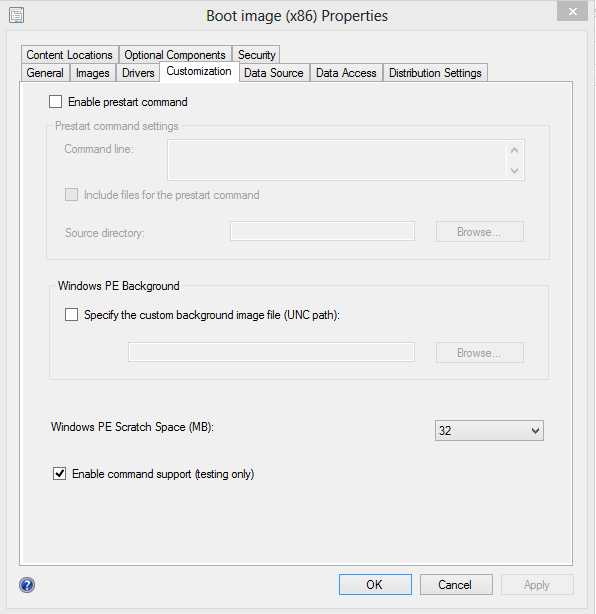 Troubleshooting SCCM Operating System Deployments can be tough, to ease the pain you can enable the command support console for use within the Windows Preinstallation Environment. Doing so will give you access to the command prompt, the SMSTS.log and the ability to launch various other applications to aid in troubleshooting. I will show you how to enable the console, then give a couple of examples. 1. Open the System Center Configuration Manager Console. 2. Browse to Software Library -> Operating Systems -> Boot Images and select the boot image you would like to add command support to. 3. Right Click the boot image and select properties. 4. Head to the Customization Tab and tick “Enable command support (testing only)”. 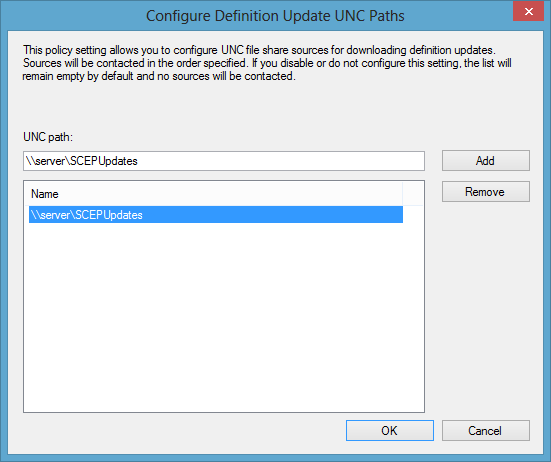 You will then be prompted with “You have made changes that require you to update distribution points with a new version of this package – Do you want ConfigMgr to update the distribution points now?”. 6. Work will then be done on the Boot.wim, which will in turn be re-distributed. Current size of the boot.wim without any additional drivers added is around 160MB so distribution shouldn’t take too long- even with slow links. Next, next until the process is completed. Once the updated boot.wim has been distributed, PXE boot into WinPE. You will now be able to access the command prompt by pressing F8. The SMSTS.log is the main log file for diagnosing OSD and Task Sequences client side. The location of this file changes through various steps of the task sequence. 1. Press F8 when in the WinPE environment to open the command prompt. 2. You can view the SMSTS.log file on the live system, or move it to another machine to interrogate. To open the SMSTS.log type notepad X:\Windows\Temp\SMSTS\SMSTS.log (in this case this is the SMSTS.log prior to formatting the HDD). At this stage you can also plug in a USB drive and copy/save the log onto it. It can be useful to have the ability to take screenshots from within WinPE. To do so, you can map a drive (or use a USB stick) and use a utility called nircmd. Here we map a drive with net use j: \\server\share password /user:user then run nircmd from the mapped drive. Savescreenshotwin will only capture the command prompt window, whereas savescreenshotfull will capture the entire environment (probably more useful). Hopefully this post will have improved your ability to troubleshoot OSD and task sequence issues, and open up the possibility of running other applications (e.g. 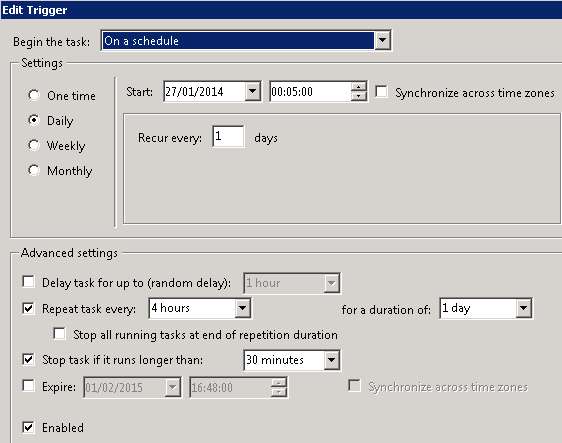 process monitor) from within WinPE. 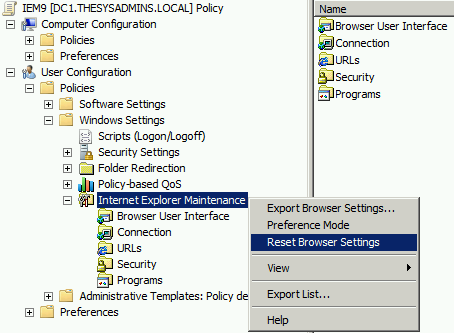 In the last few posts we’ve looked at moving away from Internet Explorer Maintainence within Group Policy as it has been deprecated from Internet Explorer 10 and above. There are two clean methods to remove these settings from Group Policy, the first is simply unlinking the GPO that has been configured with these settings. 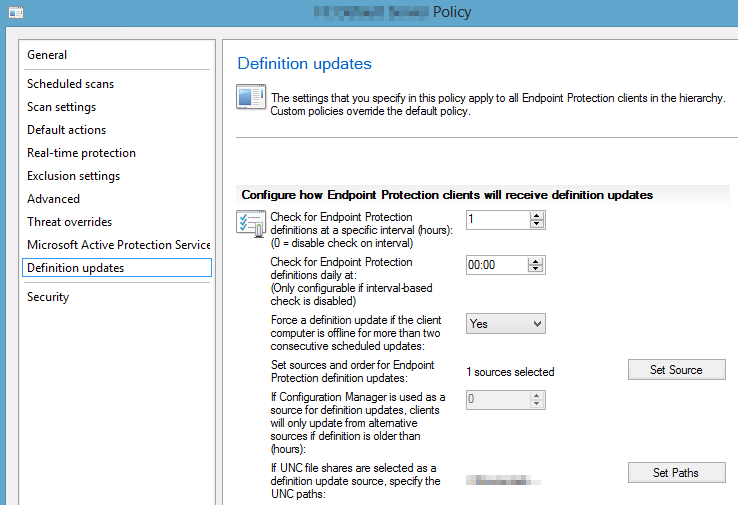 However if you have configured IEM within your Default Domain Policy or another GPO that you’d like to continue using, you are able to remove any settings configured with Internet Explorer Maintenance by right clicking and choosing Reset Browser Settings.